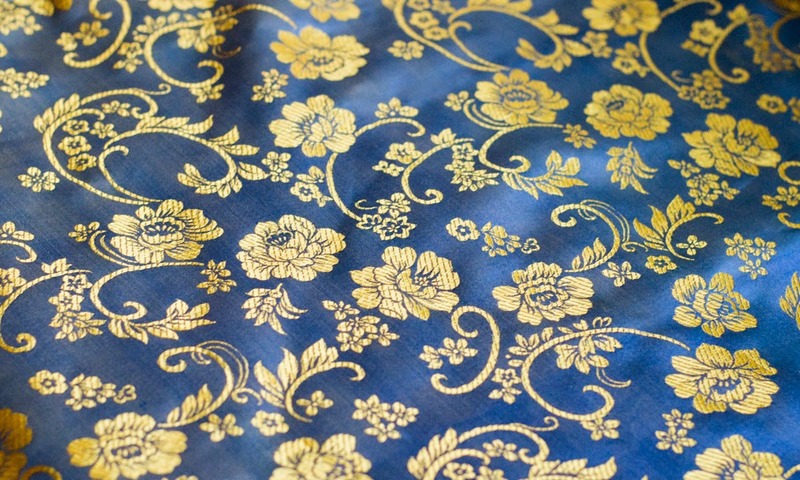 Silk damask is often seen as only fit for very formal gowns. Something long, narrow and stiff: beautiful, but not to be worn every day. 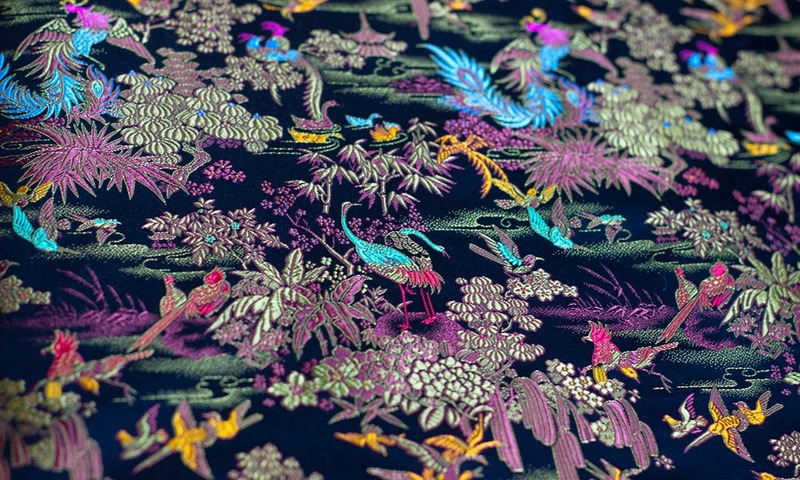 Chinese gowns, in particular. I have been wanting one for years, but I know I would not wear it much. However, it can be used to produce something very easy to wear, too - like this sleeveless shell. 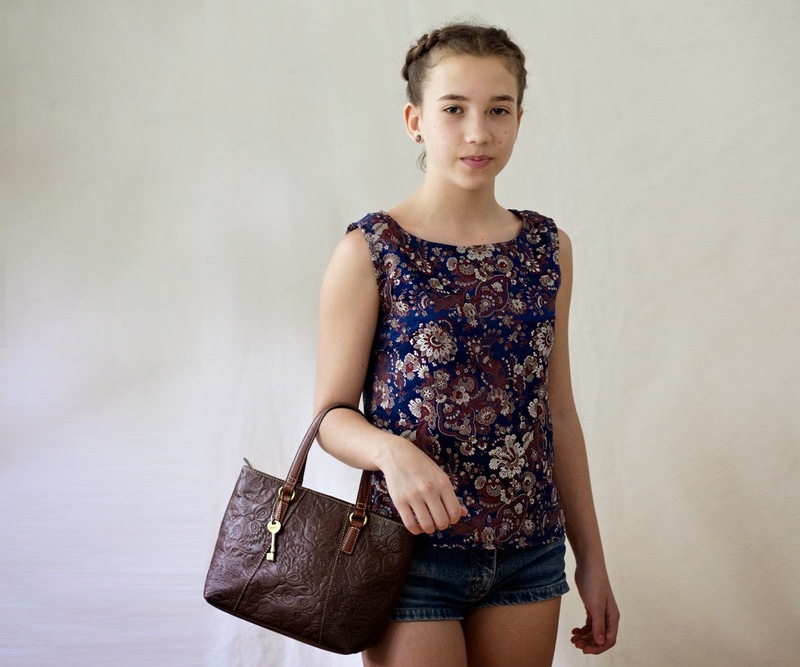 My mother used beautiful vintage silk damask to make this little blouse for my sister. Katherine adores it and wears it a lot, to the great dismay of my daughter who hopes to inherit it in good condition. But then, damask is so sturdy - she does not need to be upset. The top still looks new despite extensive wear. It can be dressed up or down. You can order a similar one here. 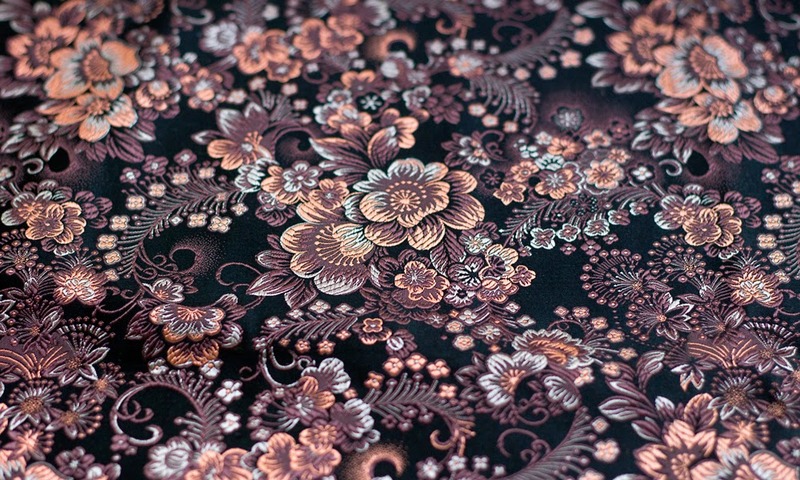 These are the pieces of damask fabric that we have in stock right now.